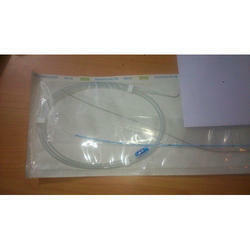 Pioneers in the industry, we offer sonosalpingography device, hsg device cannulas and tubal cannulation set from India. We are dealing with SSG Sonosalpingography Device which is mainly used by the Gynaecologist for inseminating the saline onto the Uterus. These device are ultra soft and are absolutely atraumatic. Driven with perfection, we are engaged in catering to the variegated requirements of the customers by bringing forth a comprehensive range of HSG Medical Cannulas. Sourced from the authentic vendors of the industry, these cannulas are effective, efficient and have longer life. Developed under the guidance of physicians and doctors, these cannulas conform to the industry set guidelines. 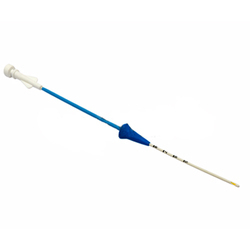 Tubal Cannulation Set owing to our expertise in this domain, we have been able to cater to the variegated requirements of the customers by bringing forth a Re-Cannulation Cannula. Effective and user friendly, these cannulas are widely in demand. 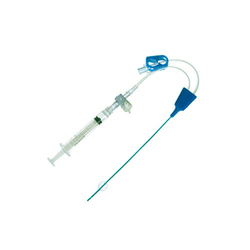 Further, these cannulas are obtained from reliable vendors of the industry. Looking for Radiology Disposables ?